The Amazon Silk Web Browser is new for the Kindle Fire tablet. Find out what all the fuss is about. Other web browsers you may have come across include Chrome, Firefox and Safari. But Amazon didn't use one of those, they decided to create a new one. 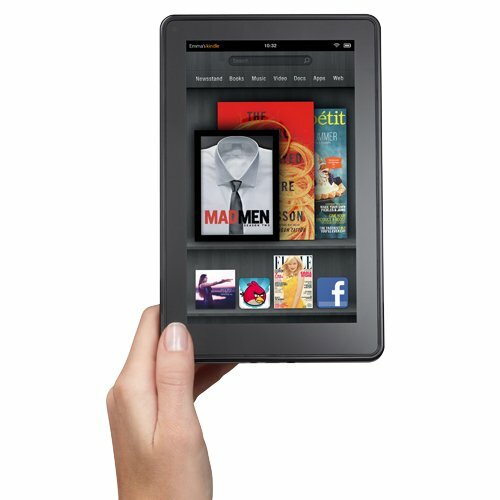 And Amazon Silk featured heavily in the promotional material for the Kindle Fire. Jeff Bezos mentioned it in the press launch and it featured on the Amazon home page. Clearly Amazon are proud of their new web browser and want us to know about it. In this article I'll explain what Amazon Silk is all about and why it should offer a much better web browsing experience than we're used to on mobile devices. The above picture shows the Amazon Silk web browser on a Kindle Fire device. Note that the Kindle Fire product description mentions "Amazon's revolutionary cloud-accelerated web browser" right up front. That's Amazon Silk. So Amazon Silk is a web browser that runs on the Kindle Fire Amazon tablet. But what is special about it? The key benefit is that it makes mobile web browsing faster. I think we'd all like that! Amazon Silk does as much work as possible on Amazon's computers in the cloud. It sends as little as possible to the Kindle Fire. This means that web pages are quicker to download and quicker to display. Amazon Silk caches web page data like images on its cloud computers. It's quicker to get information from Amazon's cloud than the rest of the internet so access to cached information will be faster. The cache is shared across users so you don't have to have visited the page before, just some other Kindle user. Amazon Silk tries to predict which web page you will want next and download it before you click on it. This makes use of the time when you are reading a web page. Each of these features adds up to make Amazon Silk faster. Tabbed browsing. Amazon have made a big deal out of being able to have multiple web pages loaded and switching between them using tabs. Definitely convenient. Visual favorites - you see thumbnails of your bookmarks. Designed with touch navigation in mind - unlike some earlier browsers. Will Amazon Silk have flash support? Yes flash is supported. What is a 'split browser architecture'? Amazon use this phrase a lot. It means doing some of the work on Amazons cloud computers and some on the Kindle Fire tablet. Does Amazon Silk support secure browsing (urls that start with https and use ssl.) Yes, Amazon will facilitate a direct secure connection. Does Amazon Silk have parental controls? A lot of people are interested in Kindle Fire for kids to use. Amazon have not yet mentioned support for parental controls, but this is something they could do effectively using their cloud architecture. The key issue that people have with Amazon Silk is a side effect of having all your web browsing pass through Amazon's cloud. Some people have privacy concerns around what Amazon could do with that data. Personally I think Amazon will be sensitive to this issue. They won't want to do anything that will harm their reputation. Of course they'll be very focused on technical security too, making sure that passwords can't be hacked for example. I'm glad that there are people who raise these issues and keep the pressure on. Amazon have been clear that there is an option to turn cloud acceleration off, but obviously you lose the speed benefits if you do this. In this video some of the techies involved in Amazon Silk explain why a new browser was needed. It's full of geek speak. Fortunately I'm fluent so I do know what they're talking about. As a technical professional I find it rather sweet the way these guys are talking about the technology - the are proud of what they have achieved. The browser is called Amazon Silk because 'A thread of silk is an invisible yet incredibly strong connection between two things.' In this case the two things are your Kindle Fire tablet and the cloud. How Important is a Web Browser? Ok, so Amazon Silk is fast and easy to use. How important is that to a tablet user? If you are comparing the features of different tablets then you need to think about how much time you spend in a web browser. If like me, you're addicted to the web, then having an excellent web browser is very important. I spend far more time with a web browser than any other application. Amazon have clearly invested a lot into Amazon Silk. I expect they have ambitions for it beyond the 7" Kindle Fire tablet. I think this means we'll see 3G tablets in the future. Amazon's Kindle reader app is available for lots of platforms (PC, iPhone etc.) Amazon could choose to make Amazon Silk available to these platforms and possibly use them to make it easy to buy content and products from Amazon. Did that help you understand Amazon Silk? No parental controls on the silk browser is a HUGE issue for parents considering the Kindle Fire. On my previous kindles I could download a book and send the kids up to their bedroom to read it without any worries (previous kindles had "experimental browsers" but they were low resolution black and white versions that were not nearly as capable as the full-fledged silk browser). I was looking forward to the richer experience on the Kindle fire so the kids could see the color animations and illustrations they had been missing in children’s books. The problem is that now with the silk browser, your kids can go to YouTube or worst and Amazon is not giving parents any way of controlling that internet access. 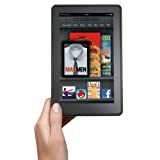 (According to Amazon CS they do not have any way to disable or even password protecting the silk browser) I've owned 6-7 kindles over the years and I just ordered 3 kindle fires for my children- now I am considering returning them for .. I hate to say it.. 3 iPads. The Silk browser sounds great. Im getting tired of the sluggish loads times on other tablet browsers. Time for a change.